While sales have been slowing in anticipation of a major model update as well as the highly competitive Chevy Bolt and Tesla Model 3, the Nissan Leaf has still been selling fairly well in the US — well enough to reach the 100,000 sales milestone in October. To be clear, the new achievement is with reference to Nissan Leaf sales within the US — global Nissan Leaf sales surpassed the 100,000 sales mark quite a while back. Interestingly, Nissan Leaf sales in the US were actually up around 14% year-on-year in October 2016 (as compared to October 2015). Year-to-date Leaf sales in the US, meanwhile, are down around 28%. 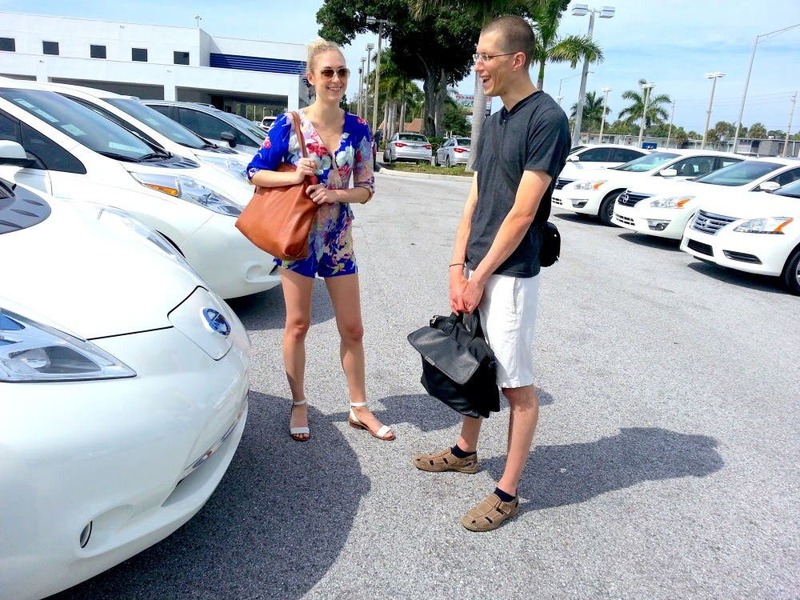 Globally, Nissan has moved nearly 250,000 units of the Leaf to date. Of this figure, the majority relates to sales in the US, followed by sales in Japan (~70,000), and sales in Europe (~63,000). With regard to its competition, the Chevy Volt plug-in hybrid (PHEV) cleared the 100,000 sales mark in the US back in July. Globally, though, the GM/Chevy Volt isn’t offered in many markets, meaning that the US is the biggest market by far for the model and the Leaf has outsold it globally. If one wants to consider the rather expensive (and large) Tesla Model S as a competitor as well, some interesting things can be observed. While sales in the US are a bit behind those two models, it seems very possible that the Model S will end up taking the lead amongst the 3 at some point. Though much will depend on the timing and attractiveness of the Nissan Leaf refresh. Long-term Chevy Volt sales are also still an open question. Will Chevy Bolt sales displace Chevy Volt sales? Are the potential customer bases too different to affect sales? After all, some people require a PHEV rather than an EV (even a long-range one), as they live in rural areas and/or travel long-distances a lot. Of course, if the Chevy Bolt had access to an extensive fast-charging station network (like Tesla’s Supercharger network), then that last point would be less relevant. It’s too bad that GM seems unwilling to make some kind of Supercharger access deal with Tesla, or create its own network. With that in mind, what will Model 3 sales do to Volt sales?